The most recent two job reports moved the equity market significantly. The S&P 500 Index jumped 1.7% on March 9th after the Labor Department reported an impressive 313K job gains in February. In contrast, the Index tumbled by 6.4% in two consecutive trading days after a strong job report on February 2nd. 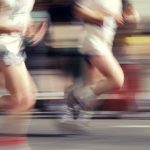 Why did the market behave differently? Most market participants believe wage growth and fear of wage-driven inflation could explain the different reaction from the market. The YOY hourly earnings growth in January surprised the market, up by 2.9%, while in February, the YOY wage growth was softened to 2.6%, lower than expected. 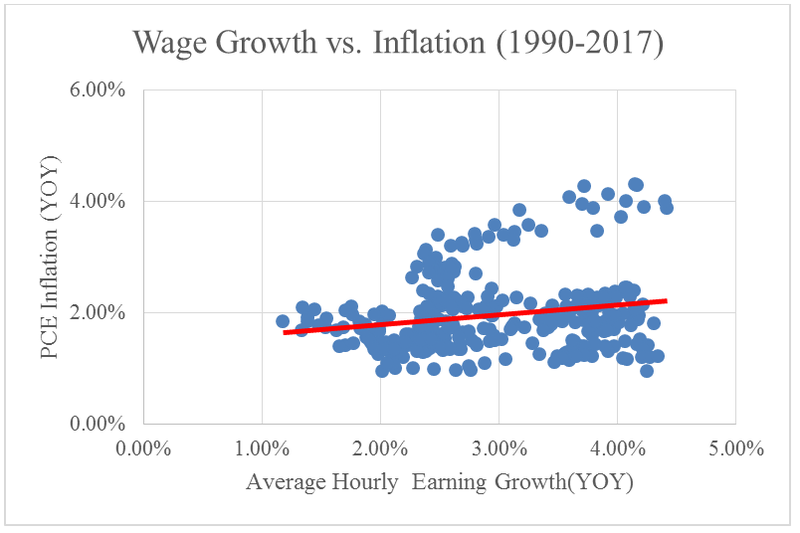 It is important to understand whether wage growth will drive up consumer prices because how aggressive the Fed will raise interest rates will depend on how high the inflation rate is expected to be. There are two types of inflation. 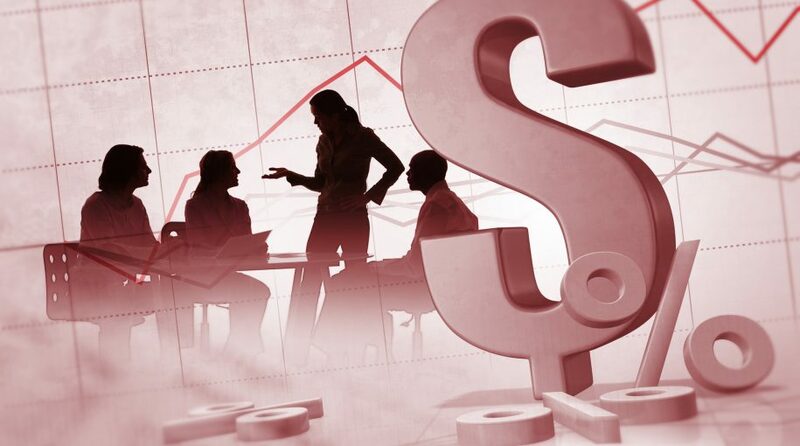 Cost-push inflation is caused by the increases in costs of production factors such as labor, capital, land or entrepreneurship when companies are running a full production capacity. The increased costs are passed on to consumers, resulting in a rise in the price level. Demand-pull inflation arises when there is an increasing demand for goods and services from households, businesses, governments and foreign buyers. In the 1960s to 1980s, rising wages often drove up consumer prices, especially when union workers had more bargaining power. For example, the domestic automobile market was dominated by GM, Ford and Chrysler, who relied on the union to supply labor for its factories. The union normally demanded higher wage when inflation was high. In return, the higher wages drove the inflation even higher, causing a wage/price spiral. 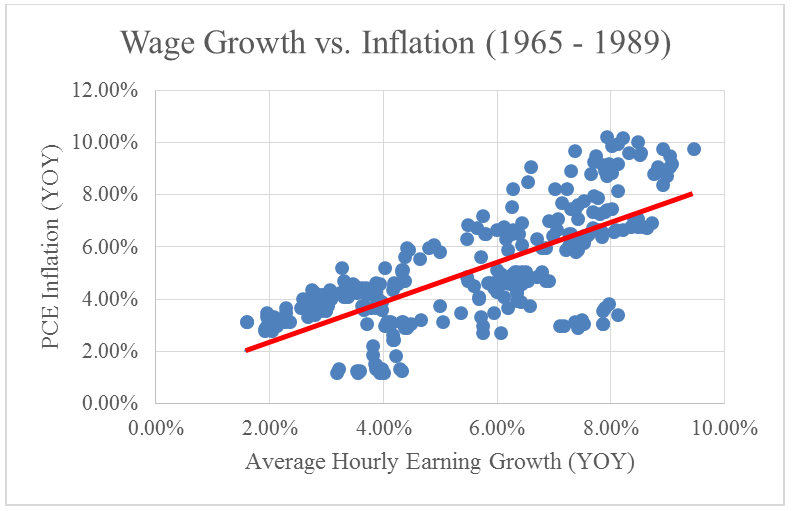 Table 1 shows a very strong positive relationship between wage growth and inflation between 1965 and 1989. However, this relationship has broken down in the last three decades as shown in Figure 2. Globalization and deregulation play a large role in ending the wage/price spiral. The union membership has been in decline for the last 50 years. The membership rate has fallen to 10.7% in 2017 compared to 20.1% in 1983. In the meantime, it had become difficult for the US producers like GM or Ford to raise prices when they were facing competition from foreign producers like Honda or Volkswagen. Table 1 shows the correlation between wage growth and inflation by decade. The positive correlation seemed non-existent in last three decades.